The Dunes, established in 1948, is considered the areas premier Country Club. Here, you will find one of the East Coast's most magnificent clubhouse settings overlooking the Atlantic Ocean. The Oceanside golf course was designed by Robert Trent Jones and is consistently rated one of America's Top 100 courses. The golf course is rich in history and has played host to six SENIOR Tour Championships, a Women's US Open, the finals of PGA Tour Qualifying School and was the host for the 2014 PGA Professional National Championship. Dunes Club Champions include, Ben Crenshaw, Hale Irwin, Jay Sigel, Gil Morgan, Jim Colbert, Gary McCord and Raymond Floyd. 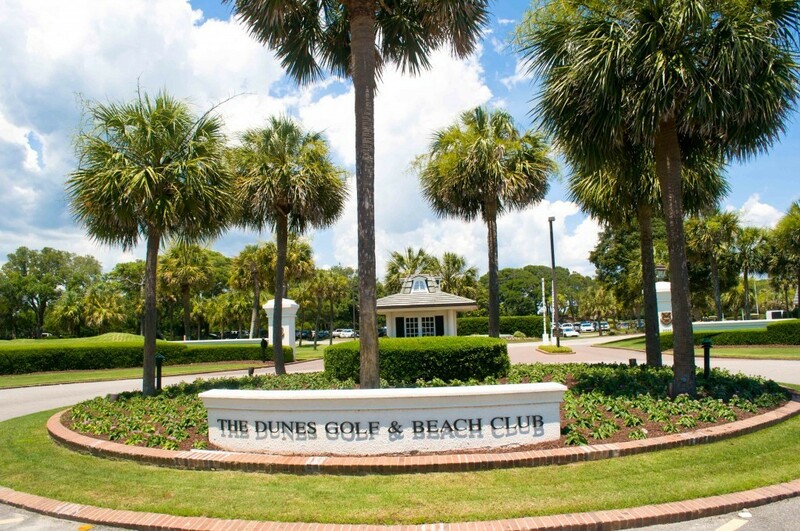 The Dunes offers a classic Club experience with all the Southern charm, elegance and style associated with the finest clubs in the Southeast.